No logo, blank handle and case. 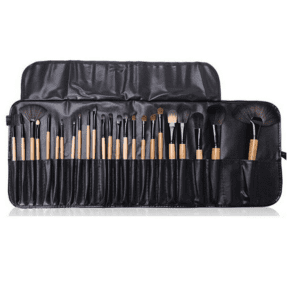 This complete 24-Piece Brush Set includes all of the Essential eyes, lips, and face makeup brushes every needs to complete the flawless look. 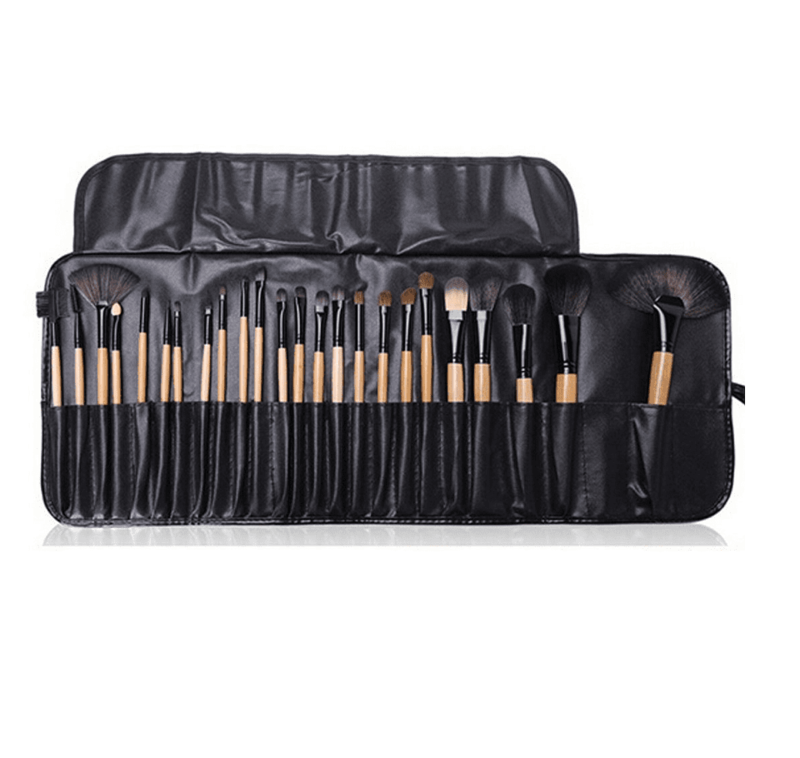 From eye shadow and liner, to concealer and foundation, the Professional 24-Piece Brush Set is just what people have been looking for!